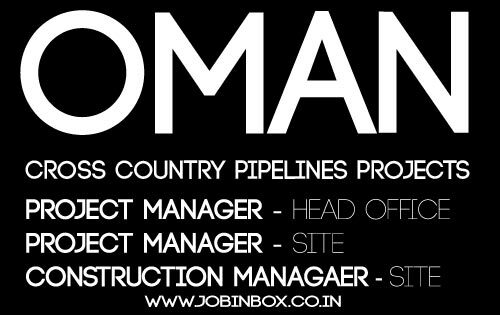 Following professionals with described qualifications and experience is required for a cross country pipeline project in Sultanate of Oman. Project Manager (Head Office) with more than 15 years of experience with exposure to Cross country Pipelines. Degree in Mechanical Engineering (B.Tech/ B.E / M.Tech / M.E / M.S). This position will be based in Head Office. Project Manager with 25 years experience with exposure to Petrochemical/ Fertiliser plants. 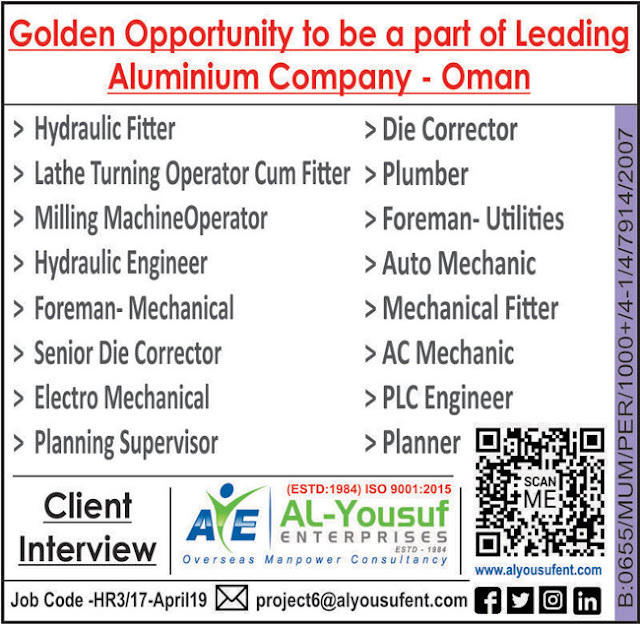 This position's operations will be based in Salalah. Construction Manager (site based) degree in Mechanical Engineering with 15 and above yrs of experience with exposure to Pipelines /flow lines on Off Plot (PDO-Petroleum Development of Oman/Oman experience is must). CVs with on plot experience not required.